Serendipity (noun) means a pleasant surprise, or a fortunate happenstance. Serendipity is not just a matter of a random event, and can’t be taken simply as a synonym for “a happy accident”. Because in serendipity, there’s no such thing as an “accident”. To put it in a simple way, everything happens in this world is interconnected, and when there’s a fortunate or pleasant thing happens in a satisfactory or beneficial way, it’s not just a mere random sequence that accidentally happens, but it happens as the occurence and development of some events by chance; serendipity. Certain people are being in certain places at certain time, that’s not just a coincidence. For example, I met my first love in the school hall during the school inauguration night party. If only my school didn’t have that event, I wouldn’t be there, and my first love wouldn’t be there too. If only my first love didn’t have a band, he wouldn’t perform with his band that night. If only he didn’t perform, he wouldn’t walk across the hall at that time I was standing there. If only I didn’t met my female senior who called out for me, I wouldn’t stand there in the middle of the hall at that time he was passing by. If only I weren’t a sophomore who hadn’t made many friends so I just strolled alone in the hall, my senior wouldn’t call me to talk with her. Therefore, when I met my first love, that’s not a coincidence, that’s what they called a serendipity. I used to say that life is indeed a bunch of coincidences, that bump together into a thing called fate. Well, I guess I wasn’t completely wrong. People called a situation as “coincidence” when it’s unpredictable, and actually, when it’s a situation that they can’t explain yet, why it does happen. Whenever we meet someone new, sometimes we call it as a coincidence, but actually, it’s not. It’s just that we haven’t understand how and realize why we reach the point where we meet that person. Now I would say that life is indeed a series of events, that by chance, bump together into a thing called fate. Every thing we did yesterday, it would affect our today. Every thing we do today, it will affect our tomorrow. Every choice we made in the past would affect our present. 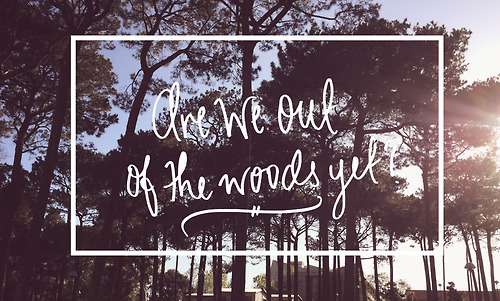 Every choice we make in the present will affect our future. It’s a series of causes and effects. And in it, there’s a serendipity; a pleasant surprise happens because of things we do, a fortunate happenstance occurs because of choices we make. “Serendipity” is today’s movie for Lost and Found. Why do I choose it as the first movie for this month’s theme? Well, you’ll find out later in this article, but for now, I’ll tell you the storyline of this 2001 American romantic comedy film. 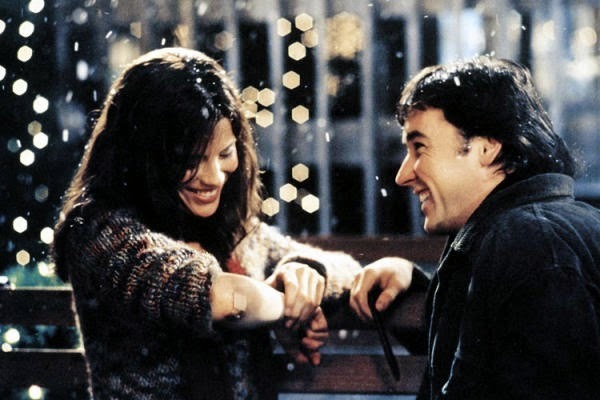 Jonathan Trager (portrayed by John Cusack) and Sara Thomas (portrayed by Kate Beckinsale) meet for the first time on one day during the Christmas season in New York City. They’re trying to buy the same pair of black cashmere gloves at Bloomingdale’s. Jonathan and Sara feel a mutual attraction toward each other, despite the fact that both are involved in other relationships. They end up eating ice cream at a bar named Serendipity together, and later exchange goodbyes. But soon after that, both realize that they have left something at the ice cream bar, and return only to find each other again. Considering this to be a stroke of fate, Jonathan and Sara decide to go out on the town together. 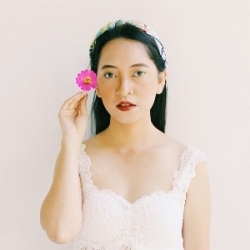 At the end of the night, as much as they want to get to know each other more, they decide to leave it for the fate to work things out, as each is already in a relationship with someone else. Unfortunately, Jonathan and Sara are separated that night without having each other’s contact information. Several years later, Jonathan is at an engagement party with his fiancée Halley Buchanan (Bridget Monayhan), while on the same day in different city, Sara comes home to find her boyfriend Lars Hammond (John Corbett), a famous musician, proposing to her. As their wedding dates approach, they both find themselves with a case of cold feet, and decide to return to New York in an attempt to find each other again. Jonathan is accompanied by his pal, Dean Kansky (Jeremy Piven), while Sara travels to New York with her best friend, Eve (Molly Shannon). Though they don’t have any clue, they sent something to the universe back then. Jonathan wrote his name and phone number on a 5 dollars bill, while Sara wrote her name and number on the inside cover of a copy of “Love in the Time of Cholera”. Therefore, if they’re meant to be together, he’ll find the book and she’ll find the bill, and they will find their way back to each other. 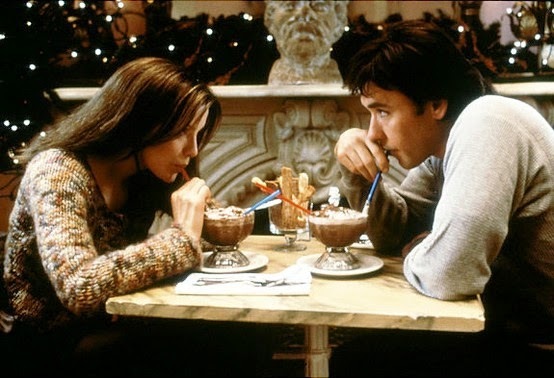 One thing that stands out from “Serendipity”, and this is also agreed by the critics, is the great chemistry from the main cast couple, John Cusack and Kate Beckinsale. Their charming chemistry is irresistible. Before this, I only knew Cusack as a typical action movie kind of an actor from “Con Air”, well, though he was good in this area too. But here, I can see the different side of him and somehow it surprises me, in a good way. Cusack really lives it out as a man who’s having a marriage blue and somehow is sure that his destiny is still out there and he has to search for her. As for Beckinsale, I also only knew her as the supporting female character from “Pearl Harbor”, and I have to admit that I didn’t very like her that much in that movie. But here, again, this movie shows a different side of her that I have to admit that I like, no, love this one. Beckinsale successfully lives out her character as a woman who feels hesitate toward her partner and somehow is sure that her soulmate is still out there and she has to meet him. Beside, all the supporting casts are perfectly chosen by the production team too. It’s a great harmony of all. 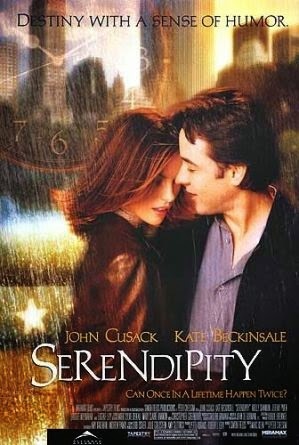 One tagline from “Serendipity” says, “Sometimes true love can have more than one face.” No, this movie is not telling us to have an affair everytime we meet someone new whom we feel attracted to as that person is different from our partner. But yes, this movie shows us how a person can love two people at the same time, but in a different kind of love. When Dean asks Jonathan whether why he risks his relationship with Halley for searching for Sara, I love Jonathan’s answer: “Maybe everytime you fall in love with somebody, it’s a complete different experience, so it’s a mistake to compare them. I get it, but, it’s like Halley is “The Godfather Part II”. That was an incredible movie. Might be better than the original, alright? But no matter how much you love “The Godfather Part II”, you still have to see the original to understand and appreciate the sequel, don’t you?” Indeed in life, we would meet more than one person whom we feel so connected somehow, soulmates; yet there’s only one person whom we feel like the original version of any movie or song, not a sequel or remake, a soulmate. “Serendipity” gained both commercial and critical success. It was a box office hit and received positive reviews from some critics. Following the 9/11 attacks, images of the World Trade Center towers were digitally removed from all skyline shots of New York City, as the movie was mainly shot in there. I remember the feeling that I felt when I watched “Serendipity” for the first time; it was heartwarming. That was years ago when I was just a naive girl who used to love every movie with a happy ending for the main characters. 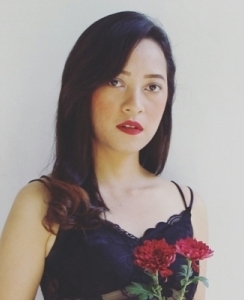 It was recommended by my friend, who was like an older brother that I never had, Harwanto Bimo. Some times ago, when I watched it again after so many things had happened, I saw it in a different light, well, not much the differences, but I believe, in a more mature light, as you can read above in this review. And I guessed I knew why he recommended this movie for me back then. For a closing note, I love one tagline from this movie; “When love feels like magic, it’s called destiny. When destiny has a sense of humor, it’s called serendipity.” Yup, life is indeed a comedy, and all we need to have is the right sense of humor to be able to enjoy it.